Please note that we do not ship to PO Boxes. These shipments are very perishable. We recommend shipping to a work address so that there is someone to receive it. If you specify home delivery, please be sure that a recipient is there to receive it or we will be forced to leave it at your own risk. If sending as a gift make sure the recipients address is correct because the shipments cannot survive extended time in transit. 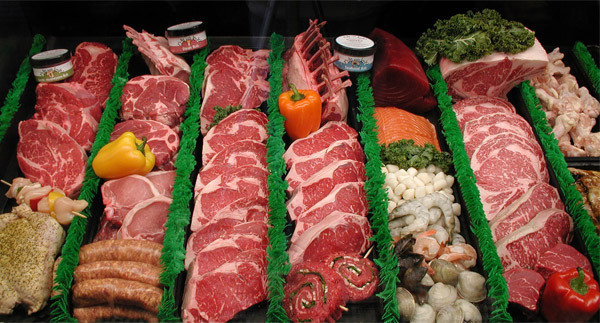 We are a family owned and operated full sevice Butcher Shop bringing over 25 years both retail and wholesale Butcher experience. At The Butcher Block we only carry the finest meats available. Whether its U.S.D.A. Prime Beef straight from Americas heartland Nebraska or our signature upper Choice Beef from Nebraska as well the 1855 Brand premium Black Angus program.